So long Q2, and thanks for all the fish. Last quarter our work centered around getting our shiny new colonyJS library out into the world and battle-tested, laying more of the foundations for our dApp, and continuing to make Colony more open. dApp development is *hard*, in no small part because there is a dearth of useful tools for developers to use. This is changing rapidly with improvements to core tools like Truffle, Ganache, and our very own TrufflePig. But getting applications to play nice with the blockchain is still a huge obstacle, and projects like Colony have an additional layer of complexity: dApps need to know how to interact with our smart contracts in order to be useful. The Colony Network is now live on Rinkeby testnetblog.colony.ioDevelopment continues in full-force on our suite of smart contracts that enable the creation of decentralized, open organizations. As always, we welcome any and all contributions toward implementing the Colony Protocol as described in the Colony Whitepaper.Have a look at issues tagged with ‘good for collaborators’, and come say hi in the colonyNetwork Gitter if you have any questions about contributing! We’ve got a brand new home for Colony open-source documentation — isn’t it beautiful? From whitepaper TL;DR articles to colonyJS example code, this site is now the go-to for anyone out there who wants to learn more about how Colony works or to get started developing with our tools. We’re serious about this open-sourcing thing. The docs site itself is open source; we’ll be continuously improving and expanding documentation for all Colony tools, and so can you. If you notice something that can be clarified, updated, or improved, you can click “improve this doc”, and have your change submitted and merged in new releases. Neat! Over 50 participants tuned in from all around the world to build with Colony (seriously, there were over 15 countries represented and we covered every major time zone)! There was more to this hackathon than meets the eye. It was a first test of a continuous incentive model. Our vision of Colony is as a fully decentralized network, owned and operated by its stakeholders: people who contribute work to, run a Reputation Miner for, or build applications on top of the Colony Network. The 2018 Colony Hackathon gave us a good sense of how powerful such a model can be. We saw innovative new use-cases, essential network tools, and much-needed integrations with existing platforms. "What does Colony look like?" We went places in meatspace, too! Jack spoke at CogX 2018 in London on the topic of blockchain governance. 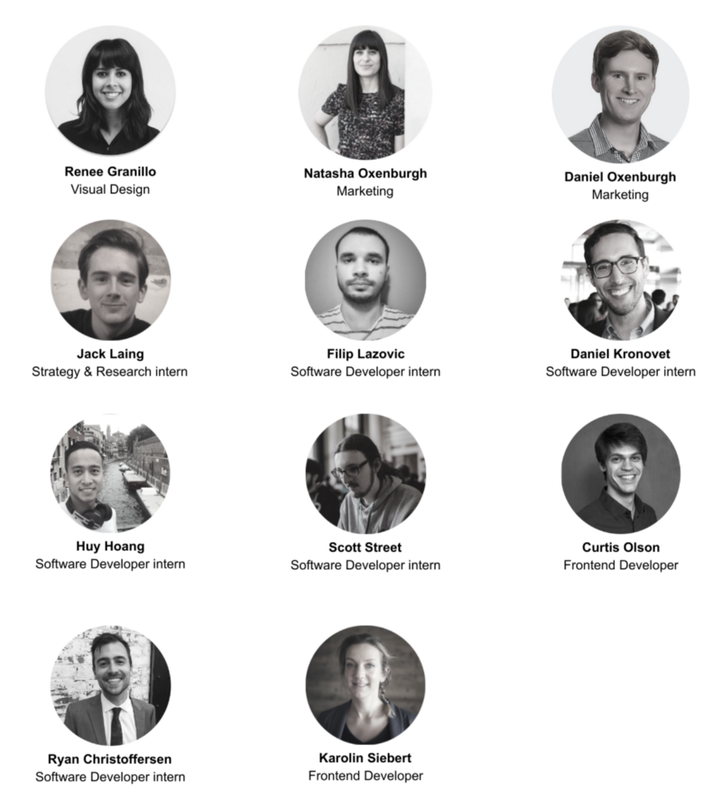 In addition to welcoming 5 new core team-members, 6 individuals have joined Colony as part of our internships program. We are always actively looking for new team members, so if you’re a talented individual interested in building the future of work with us, join Colony as a contributor! This quarter we’re doubling down on just a single goal: Launching our first product on mainnet. If you’ll recall from our now (in)famous post last year, we decided not to do a token offering until the Colony Network is live, and that’s the goal we’ve been working towards. We are moving fast, but being mindful not to break anything. The deployment will happen when we’re absolutely sure everything is lined up and ready-to-roll. That means finishing all planned work in our colonyNetwork MVP release and updating colonyJS to go along with it. We are also determined to release a handful of open-source developer tools to make dApp development simpler and more straightforward. This includes a tool for managing Ethereum wallet implementations and a service that helps distributed databases run smoothly; stay tuned for more information in the coming weeks. The Hackathon Continues… at ETHBerlin! That’s right, Colony is coming to ETHBerlin! We had such a fun time holding our global hackathon that we decided to continue supporting new and aspiring dApp developers. In preparation for the ETHBerlin hackathon, we will be improving and expanding the popular hackathonStarter kit to make it even easier for hackers to set up and start building. The trufflesuite has been an invaluable tool for the development of the Colony Protocol, and we are excited to be a part of TruffleCon 2018 in Portland, OR! We will be presenting in the talks, running a workshop or two, and occasionally sewing birds onto tote bags. I’d be silly to miss out on the most ambitious crossover event in Ethereum history. Colony will be at Devcon4 in force, so please do come say Dobrý den to us in Prague!